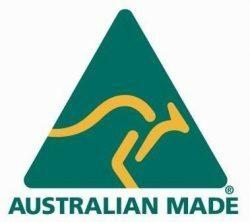 Looking to install a synthetic grass tennis court in your backyard, school grounds or sporting club property? 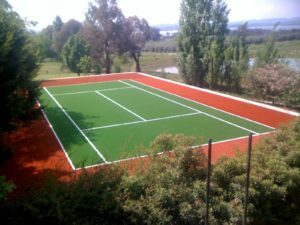 Grass Solutions installs Synthetic Grass Tennis Courts for homes, schools, sports centres, across Melbourne. Each artificial grass tennis court is made-to-order with integrated line marking in kit format. This reduces impact on seaming or ‘seam stress’ longer term. With so many options available when it comes to playing surfaces for tennis, from asphalt to lawn and hard court, a tennis court made from synthetic grass is a cost-effective, environmentally friendly alternative that requires minimal maintenance and reduces the risk of injury. Tie Break PE – A 19mm synthetic grass. Designed for a medium paced tennis court surface that responds to all standards of play, it exceeds the requirements set for synthetic tennis court surfaces. It also comes with ITF accreditation. Challenge Pro PE –A 19mm artificial grass that is one step above the rest, with the added attribute of double backing and a high stitch rate. It’s perfect for busy tennis courts, clubs, schools and commercial centres. Grandprix – 16mm – The choice of most tennis professionals seeking an easily accessible synthetic grass tennis court on their property or in their area. It is a close weave 16mm pile height synthetic grass, designed for the tennis player who enjoys a faster game. Grandprix provides excellent stability with controlled slide. The shorter denser pile height requires less sand infill. Need Tennis Court Lighting, Fencing or Tennis Post/Netting? Grass Solutions can arrange for the supply and installation of all your tennis court accessories,including lighting, fencing and netting requirements. We’re proud to be a ‘one-stop shop’ for your tennis court needs. Call Grass Solutions now to discuss how we can help you with your new synthetic grass tennis court installation.